We are very happy that we have the chance to participate at MWC 2018 as part of the Romanian pavilion. 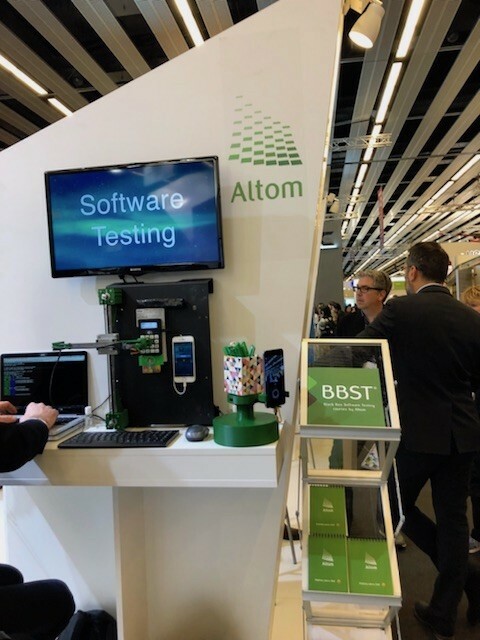 We are presenting an improved version of AltTap, our testing robot. The showcase this year is about the interaction with a POS device. The Robot can perform either a card swipe or card chip read with a pin code. At the same time it can interact with the POS buttons and the IOS application that is running on an iPhone paired with the POS over bluetooth. This shows how you can test the integration of a mobile app with a peripheral device. No more manual repetitions of the same tests to validate apps for each new release. Another testing tool shown here is the turntable. It helps us with testing apps that require 360° movements, for example apps that take photos. We have automated tests written for the Fyuse mobile application that are constantly running at our stand. 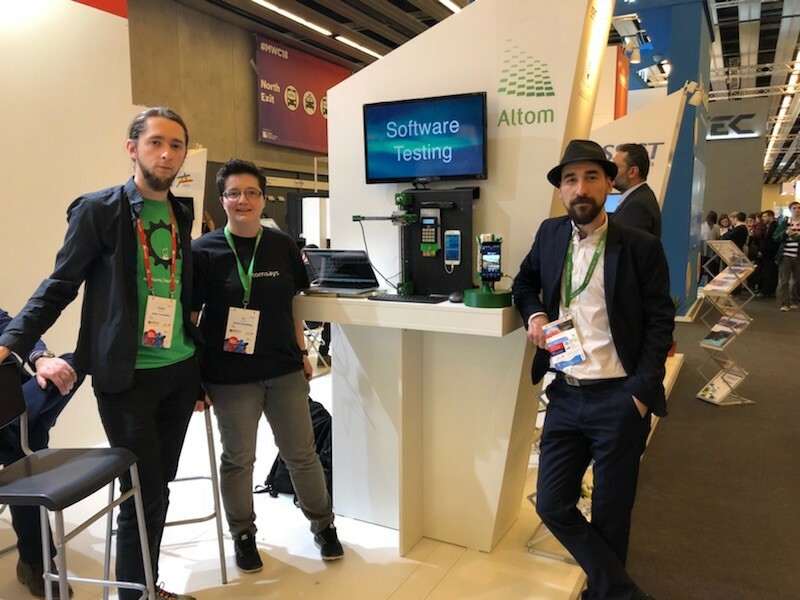 We are also excited to show our recently released AltUnityTester, a tool that allows you to use Appium to test applications and games developed with Unity 3D. BBST® course series are always part of the show at our stand. The brochures presenting the course are very popular this year. We almost run out of them by the second day. Our colleagues Ru, Bogdan and Alex are tired, but they excited to have had interesting discussions about how we build tools to help us test in an efficient and professional way. Alex was interviewed by one of the local online IT magazines, http://comunic.ro/. If you’re there, drop by our stand located in Hall 8.0, Stand 8.0I1, Romanian IT Pavilion.